As a regular user of the M6 and M1, it happens almost every time I drive on them: someone cruises up the hard shoulder and drives past me. Quite apart from the obvious rules-flouting undertake, this is also illegal because, well, it’s the hard shoulder, not a live running lane. So why do they do it? Only I’m not. And they’re not so smart. Because although it’s a smart motorway, the ‘smart’ hard shoulder bit isn’t actually live. The overhead gantries, shorn of illuminated speed limit indicators, confirm this. And if they then do come across someone stopped on the side of the motorway, poking about under their bonnet or struggling to change a wheel – well, it doesn’t bear thinking about, does it? This is the conundrum of smart motorways: they’re an excellent idea, and the stepchange in available road space really does help manage congestion. I’m all in favour of them – but people need to be taught how to use them, and this is where the Department for Transport has failed. Because now, it’s almost an assumption that if a motorway is smart, the hard shoulder can be used all the time. And, sooner or later, I fear this is going to cause a big accident. If, indeed, it hasn’t already. The simple solution is obvious: if the lane is closed, permanently display a big red ‘X’ in that lane. This would make it blindingly obvious to all road users. Oh, and maybe set the speed cameras to capture motorists who drive past a red ‘X’ (or at least tell people that’s what you’re planning to do). 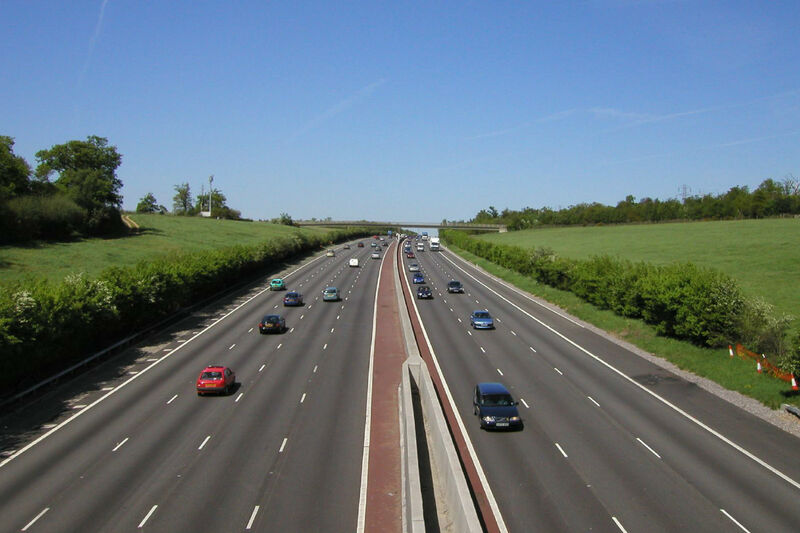 Motorists are still getting used to smart motorways, and an apparent lack of information means many just don’t understand it. So, DfT, until you get your education campaign fully into gear, turn on the crosses. It may just save lives. Opinion: should SUVs have reversing cameras fitted as standard? The amount of safety kit fitted to modern cars is ever-increasing. From the legally-required stability control and seat belts to the more advanced collision avoidance and lane guidance systems, most of us take it for granted these days. But there’s one feature which is only ever seen as a ‘nice to have’: the reversing camera. 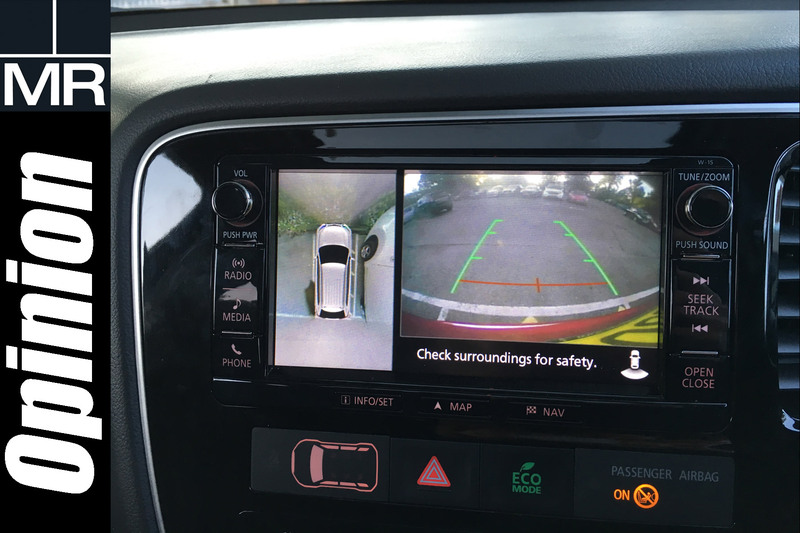 Our long-term Mitsubishi Outlander is equipped with a 360-degree surround-view camera system as standard. It’s clever – but it’s only available on higher-spec models. I recently realised I’d be really nervous reversing a car of that size, with its huge blind spots, without a camera. Yes, you could argue that I’ve simply got too used to the Outlander’s rear-view camera and we managed for years reversing cars fitted without sensors, never mind an actual camera. But cars are getting bigger and as they’re being increasingly packed with safety kit, they’re getting harder to see out of. Gone are the thin window pillars of old. You could be the most alert, safety-conscious driver in the world. But if there’s a small child standing behind the (silent) Mitsubishi Outlander when it’s reversing, if it’s not fitted with a camera, you haven’t got a chance. Even on the expensive (and huge) Audi Q7, you have to spend an extra £500 for a reversing camera on lower-spec models. I do wonder if more should be done to encourage rear-view cameras fitted as standard on certain vehicles. Or am I pandering to the nanny state? https://www.motoringresearch.com/wp-content/uploads/2016/10/opinion_camera.jpg 1200 1800 Andrew Brady https://www.motoringresearch.com/wp-content/uploads/2018/12/mr-top-motoring.svg Andrew Brady2016-10-05 12:20:002016-10-05 12:20:00Opinion: should SUVs have reversing cameras fitted as standard? Between January and March 2016, 11,755 new ultra-low emission vehicles (ULEVs) were registered in the UK – an increase of 31% over the same period in 2015, and 508% on two years previous. These figures were released last week as part of a report by the Department for Transport looking into attitudes towards electric vehicles. But that’s about as far as the good news for EV manufacturers goes. 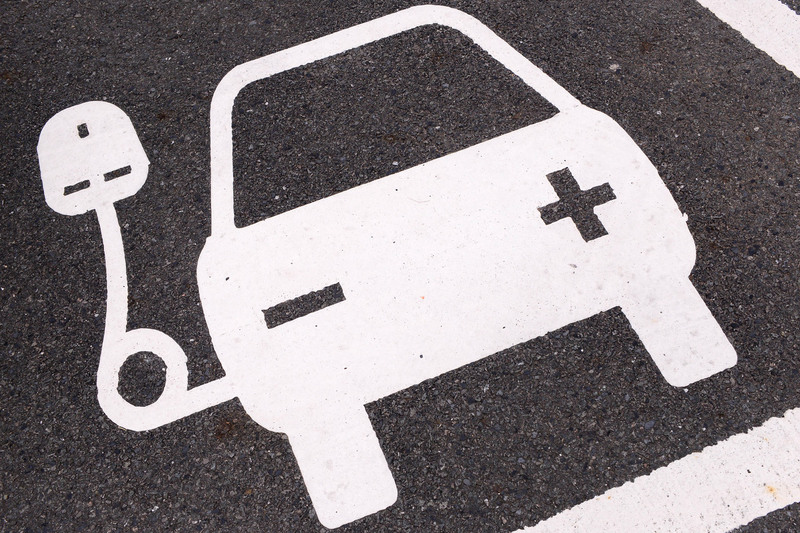 While sales are on the up, public perception of electric cars is seemingly stuck in 2013. More than half (55%) of drivers surveyed by the government revealed they hadn’t even considered a plug-in vehicle. A further 16% have and decided against it, while just 5% said they’d think about an electric car in the future. Crucially, those stats are ‘not significantly different to those in 2014 and 2015’. So, despite Government-led incentives, an increased amount of plug-in vehicles on the market and the ongoing bad publicity for diesels, we’re apparently no more likely to buy an electric car. The biggest electric car turn-off cited by members of the public were concerns around recharging (45%) – such as the availability of public charge points – and the distance travelled on one charge (40%). There’s a lot of PR work to be done, then, to convince members of the public that you don’t need to be an ‘early adopter’ to drive an EV – and you can realistically use them on a daily basis without being left stranded with an empty battery. Organisations such as Go Ultra Low are working hard to promote EVs (did you know, for example, that the average UK driver travels just 25 miles a day – meaning they could go a whole week between charges?). But that good work has been dealt a huge blow by Ecotricity – the firm responsible for 300 rapid chargers at service stations across the UK motorway network. The firm, which holds a monopoly on motorway EV chargers, has announced it will charge £6 for a 30 minute top up from today. Previously it was free (and, breaking news, this itself is a 20% increase on Ecotricity’s announcement last week that it would charge £5 for a 20-minute fast-charge: Ecotricity founder Dale Vince made the announcement this lunchtime on BBC Radio 4 You and Yours). What does Ecotricity’s £6 charge mean for EV drivers? To put that into context, the driver of a 24kWh Nissan Leaf will be able to cover roughly 100 miles from a £6 30 minute Ecotricity charge. That’s roughly the same distance a careful driver of a diesel Volkswagen Golf will be able to travel on £6 worth of fuel – and they won’t have to hang around for 30 minutes waiting to fill up. While previously electric car drivers have had the luxury of being able to travel across the UK, stopping every 100 miles or so to recharge for free, they’ll now have to pay £6 each time. That’s almost as expensive as running as combustion-engined car with added inconvenience. Then there’s plug-in hybrids. 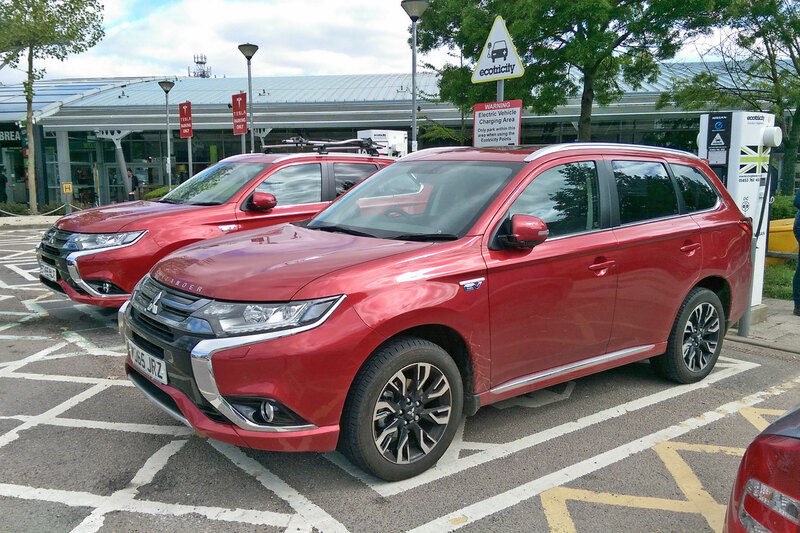 The Mitsubishi Outlander PHEV has enjoyed huge success in recent years, continually topping the charts as number one best-selling plug-in vehicle. We’re currently running one as a long-term test car – and when it’s charged, it’s great. But that charge doesn’t last long (Mitsubishi quotes an official electric-only range of up to 32 miles). And that means you’ll save less than a fiver by stopping to charge on a long journey – so, by the time you’ve paid Ecotricity and bought a cup of coffee in the services, you’ll be left out of pocket compared to driving straight past the services. And under petrol power, without charging, the Outlander’s fuel economy is… well, as you’d expect for a heavy, petrol SUV. That second tweet raises an interesting point. Most people would accept that Ecotricity has to charge for the service it provides. It’s a company, after all, and there are quite significant costs associated with installing rapid chargers at motorway service stations. But how much would people be happy to pay? We ran a quick online poll on our Twitter account over the weekend. 68% of those who voted said they’d happily pay £1-2 every time they used a rapid chargers – while a further 10% would pay £3-4. But no one thought the £5 charge was fair. We have yet to go back to them to get their thoughts on the increased-by-20% £6 charge. Is it really the end of the road for EVs? There are two sides to the argument, of course. Some point out that, in fact, with so many of us only using our cars for short journeys, rapid electric car chargers are only there for rare occasions. One of the people on that side of the fence is LeasePlan UK’s account director Scotland and Northern Ireland, as well as GreenFleet EV Champion, Judith Eadie. She points out that people are increasingly used to paying more for a ‘rapid’ service – think paying more Amazon Prime next day delivery, for example, or for EasyJet’s speeding boarding. 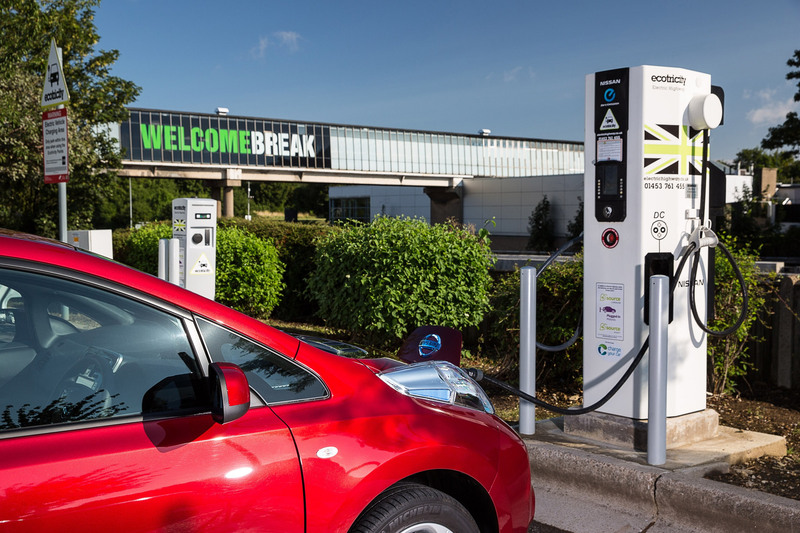 Just like week, Milton Keynes, one of the UK cities award a Go Ultra Low City status, announced it had designated 15,000 free parking spaces to electric vehicles. And that hits the nail on the head. While numbers of electric cars on our roads are increasing, they’re still a long way off being mainstream. The public perception of the electric car is it’s too expensive, too inconvenient – and now, unless you do all your miles within a short radius of home, too costly to run. Will we see a downturn in EV sales? Time will tell. It’s a historical turn of events that has divided the country: the UK has voted in favour of a so-called ‘Brexit’ of the European Union. The markets have reacted, with the pound plunging to its lowest level against the dollar since the mid 1980s. No one really knows what the future holds for the UK – but there’s one thing that’s guaranteed, global car manufacturers who produce cars here are going to be disappointed. The Telegraph: What would Brexit mean for motorists and the UK car industry? RAC: What the EU referendum means for drivers? It added this would mean paying duties on cars – as much as 10%, leading to huge losses to Toyota, or more expensive cars for customers. 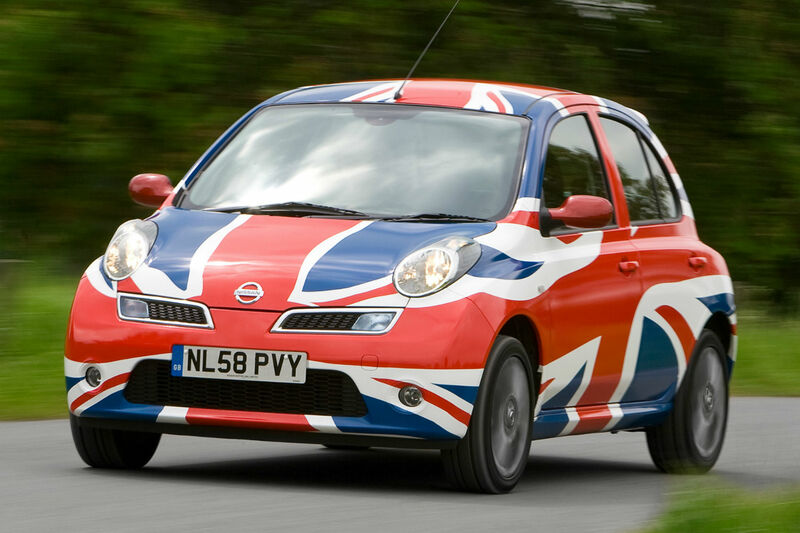 Nissan meanwhile, with its huge Sunderland plant (where around half a million cars are built a year), went as far as taking legal action against Vote Leave for using its logo in its material. And other manufacturers, including Vauxhall, BMW and Jaguar Land Rover, all voiced support for the Remain campaign. Industry body SMMT also backed staying in the EU – no surprise, as 80% of cars built in Britain are exported, contributing £15.5 billion a year annually to the UK economy. So where did it go wrong? Seemingly at around 1am this morning when Sunderland was one of the first areas to reveal the results of local polls – with Leave taking the lead with 61% of the votes. That’s in an area where around 7,000 people are employed directly in car manufacturing by Nissan, a manufacturer which has strongly backed remaining in the EU. The people of Derby, home to Toyota’s UK factory, also backed Brexit – with 57% voting Leave, despite the firm directly employing nearly 4,000 workers in the area. And 56% of people supported the Leave campaign in Solihull, home of Land Rover. We don’t know what will happen now. Manufacturers aren’t going to suddenly close down their huge British plants are move production elsewhere – but there could, and will be, significant consequences for car making in the UK. It raises the question: should car manufacturers have done more? Many wrote to workers, making it clear where they stood. But should they have spelt out the consequences of backing Boris Johnson et al? Or would that have been undemocratic? https://www.motoringresearch.com/wp-content/uploads/2016/06/brexit.jpg 1200 1800 https://www.motoringresearch.com/wp-content/uploads/2018/12/mr-top-motoring.svg 2016-06-24 08:53:392016-06-24 08:53:39Opinion: should carmakers have done more to prevent a Brexit? A man has taken the unusual step of advertising his 12-year-old Ford Focus on internet auction site eBay, without feeling the need to make it ‘funny’ in an attempt to go viral. 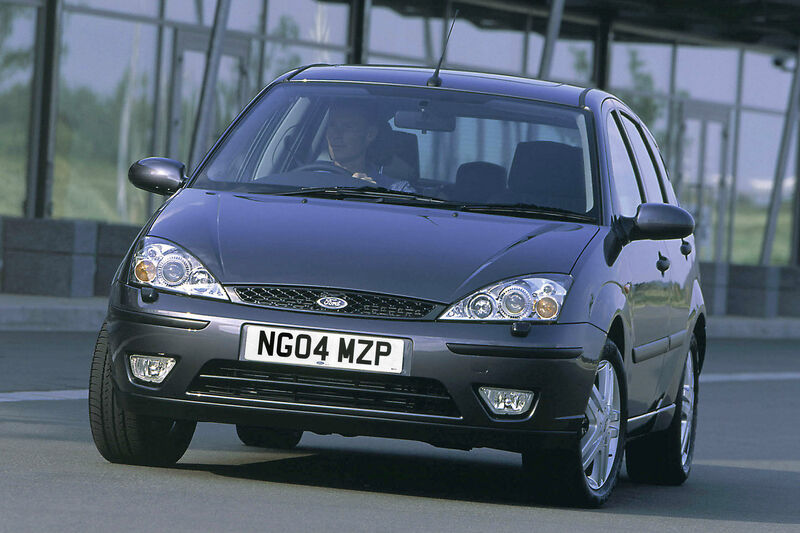 James Smith, 43, from Kings Lynn, described his family hatchback as a ‘good runner, serviced regularly with usual wear and tear’. He told Motoring Research: “I’m selling my Ford Focus because I’ve bought a newer one. It’s thought that Smith, who works as a logistics coordinator, even cleaned the car before taking pictures for the advert. With three days left to run on the auction, bidding has reached an unremarkable £475. Smith refused to disclose his reserve price, but described it as ‘sensible’. £3,000 for a posh stereo. Most of us wouldn’t spend that on a state-of-the-art sound system for the home – and certainly not in your new Volvo XC90. But should you attempt to fiddle the monthly repayments to make it justifiable? We decided to find out. 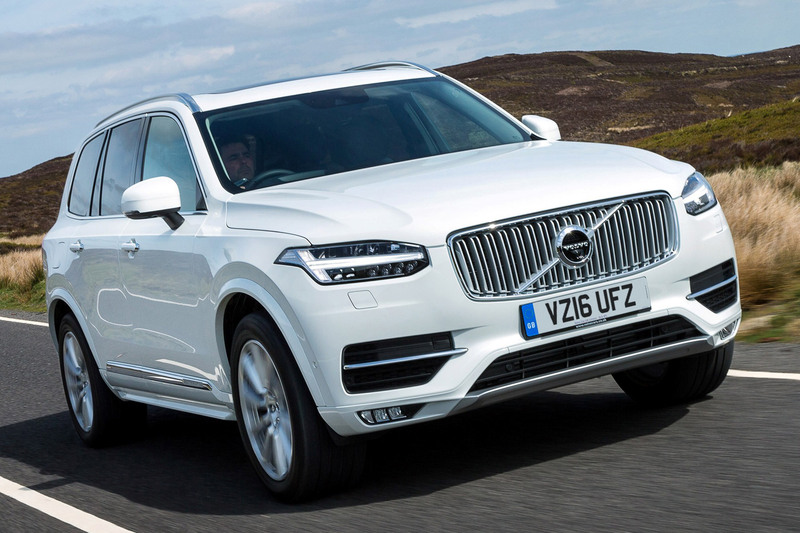 Of course, we could have tried out the Bowers & Wilkins sound system in the office car park, or on the M6, but we decided to turn up the volume while driving the XC90 around Millbrook’s alpine test circuit. After all, if it’s good enough for Cerys Matthews, it’s good enough for us. The result was a terribly serene, if a tad bizarre, experience. With no fewer than 19 speakers playing Classic FM into the cabin as our newsletter editor John drove the XC90 T8 around Millbrook, we could have been in the Gothenburg Concert Hall. That’s because the mode we tried is called ‘Gothenburg Concert Hall’. By pressing a button on the large, central touchscreen, the sound system’s settings will instantly change to mirror that of the concert hall found in Volvo’s home town. Bowers & Wilkins engineering chief, Stuart Nevill, explains why it sounds so good: “The XC90 uses our tweeter-on-top technology, which has a number of advantages in the automotive environment. Fundamentally it increases the ratio of direct to reflected sound, as more of the signal reaches the listener directly from the tweeter, rather than reflecting off the windscreen first. “All of this means that the Bowers & Wilkins audio system in the XC90 sounds incredibly tangible and lifelike,” he adds. We don’t understand how it manages to sound quite so good. But we’ll let you watch the video and make your own mind up. 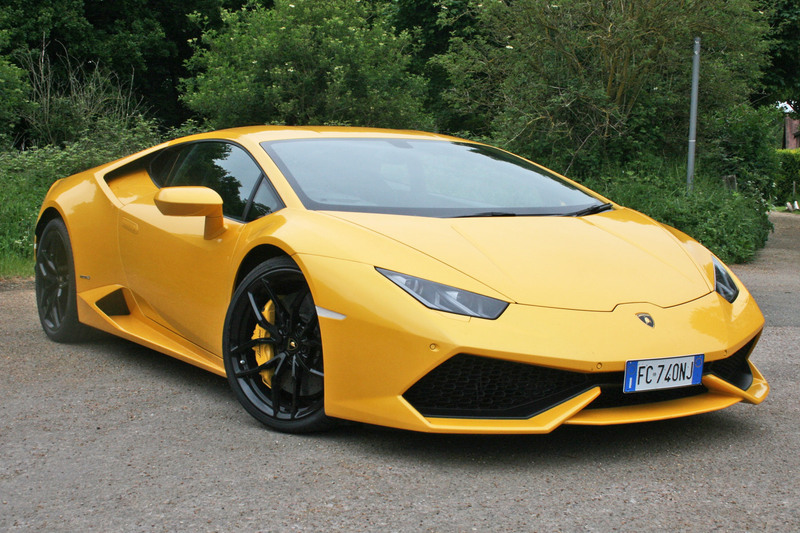 A bright yellow Lamborghini Huracan. A shiny new feature that allows you to broadcast live on Facebook. What else were we going to do, but head somewhere in the middle of nowhere and record a video of it being given a few blips of the throttle? Unfortunately, with being the middle of the Hertfordshire countryside, the signal was appalling, hence the awful video quality. But, despite being somewhere where we thought no one was around, it took approximately 0.2 seconds between Tim giving the V10 Huracan a few revs and Mrs Horsey McHorseface appearing. She wasn’t happy. “Excuse me, can you take that damn thing away please,” the wonderfully upper class lady shouts. Naturally, I come over British and apologise profusely. She REJECTS my apologies. This is the worst thing you can do to a British person. “This is not a general place for taking photographs,” she explains. It’s a public car park, though, and we have every right to be there. Naturally, I apologise some more. “Go on,” she says, like she’s talking to a naughty dog. And like a naughty dog I bow my head and get into the car. As we leave, she complains “what a stupid thing it is” and that it’s terrifying her horses. If Mrs Horsey McHorseface is reading this: we’re sorry. We’re not sure we said that enough. This morning we revealed that there are 27% fewer dedicated traffic police on our roads compared to just five years ago. That’s a worrying stat. Especially if you drive around the M25 regularly. You see, while there are cameras everywhere along the M25, ready for sniping that person who strays up to 60mph when the 50mph signs are displaying on the gantries, there is so much poor driving that the police aren’t there to see. It’s interesting to look at the police areas in which the M25 passes, and how traffic officer numbers have fluctuated over the years. As of 31 March 2015, Kent has 94 traffic officers (a drop of 44 compared to 2010), Surrey has 94 (down by 6), Thames Valley 204 (down by 24), Hertfordshire 91 (down by 48) and Essex 148 (down by 109 compared to 2010, but up by 72 compared to 2014). The general theme is that you’re considerably less likely to see a liveried 3 Series patrolling London’s orbital motorway than just five years ago. So what’s the solution? More traffic cops, obviously. But as cuts mean that’s unlikely to happen in the near future, I have another idea. Why not turn all those average speed cameras into lane-hogging cameras? 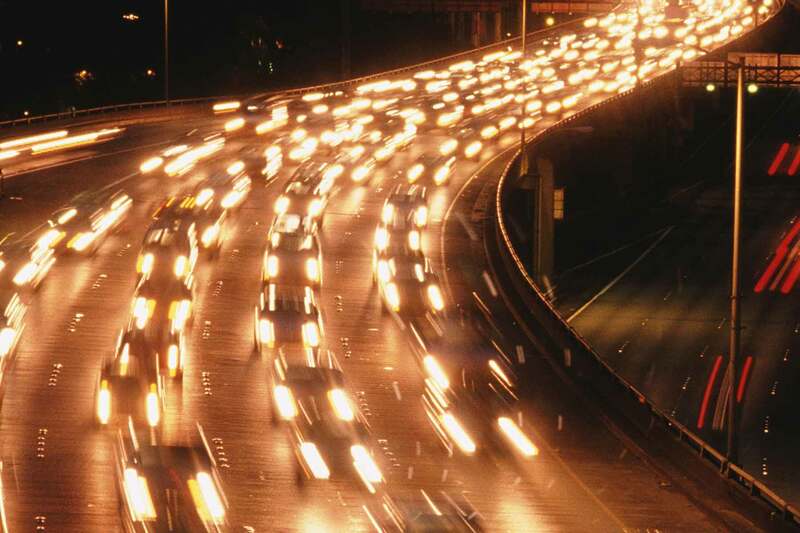 Lane-hogging is a huge issue on the M25. It probably accounts for something like 154% of congestion (figure might not be entirely accurate). Traffic officers are now able to dish out on-the-spot fines for those showing poor lane discipline, but they’re not there to do so. So, how difficult could it be to use those cameras to catch lane-hoggers? As I was sat in traffic on the M25, I was giving this thought. Simply, they could read number plates of cars passing through in each lane, and any vehicle that repeatedly passes under cameras in the same lane could be flagged up. Obviously it can’t be that simple. What about if there’s heavy traffic, where it just isn’t possible or practical to move between lanes? This is 2016… it can’t be that difficult for cameras to cleverly work out whether the inside lanes are clear enough for cars to move over. Alternatively, they could just be used to snipe motorists continually passing under middle lane cameras at speeds above 60mph – in which case the motorway should be clear enough to move over occasionally. Sure, some people won’t support the idea of more cameras. But anything that stops middle-lane morons clogging up the M25 is fine with me. What do you think?